There are a lot of question marks for Auburn heading into the season — although those question marks aren't necessarily borne out in the preseason rankings, many of which have the Tigers in the top five and among the top contenders for the College Football Playoff. But CBS Sports analyst and former coach Rick Neuheisel recently had a chance to attend a closed practice and came away with very few questions about just how good Auburn can be this year. In fact, his only stated concern was whether new quarterback Jeremy Johnson, who's a bit less athletic than predecessor Nick Marshall, will be able to provide enough of a running threat to keep defenses honest. Going back to the days of Cam Newton, the quarterback is typically a big part of coach Gus Malzahn's run-oriented and potent offenses. 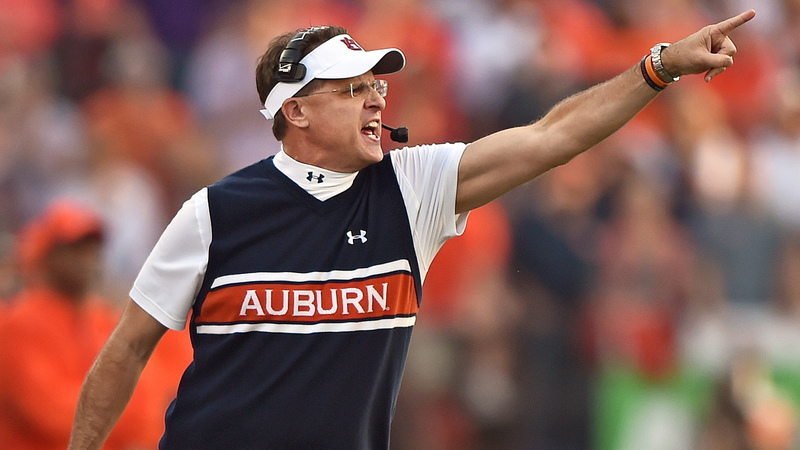 “If that happens, Auburn is going to be really, really good,” Neuheisel told AL.com. And as for the defense, which many consider the big X-factor following Malzahn's hiring of Will Muschamp as defensive coordinator? “When I got a chance to watch them practice, they certainly looked the part on defense, and we know what they can do offensively,” Neuheisel said.